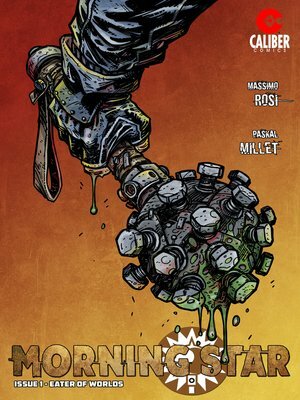 MORNING STAR is a unique agency financed by the Vatican to protect the human world and hunt supernatural creatures that use their paranormal powers for evil purposes. It is an organization base around the world that has existed from centuries, ever since the last of the Knights Templar disappeared. But over the years things have changed, the individuals within the Church funding the group have become less devoted to religion, and increasing skeptical to the cause of killing paranormal evil creatures. Which can have dire circumstances for the world. THIS ISSUE: "THE EATER OF WORLDS" - Inside the Arcadian mental hospital located in New Orleans, patient Trevor Reed begins suffering from night terrors, panic attacks from visions of nightmare creatures that will eat the whole world. Reed sees what is ready to awaken: the demon called Legion. Because of the desecration of one of his temples, Legion will arise and many elder creatures will join it to bring devastation on the human world. Immediately the four Morning Star's hunters look for Reed who was disappeared from the mental hospital, and talking with Reed's nurse they discover the truth about his night terrors.